Hint: you shouldn't be "boiling" them at all. Despite being one of the simplest, most essential ingredients in any kitchen, eggs are damn hard to cook correctly. Omelettes seem straightforward but are known to burn (or end up on the floor), and even the most talented home chef can give themselves a headache with a frittata. On their own, plain old chicken eggs can can be fried, whipped, poached, scrambled, and—of course—boiled. But even something as basic as a hard-boiled egg takes research and experimentation to perfect. That’s why we’re here. Everyone has advice for how to hard-boil eggs—but who's right? From cold-start boiling to steaming and shocking, we tried out every piece of contradictory advice you’ve ever been given on this tricky subject. The result? Our definitive guide to making easy-to-peel, tender, and delicious hard-boiled eggs. Let’s get cracking. With apologies to the late Mrs. Fisher, we found the results of the cold-start method to be lacking. 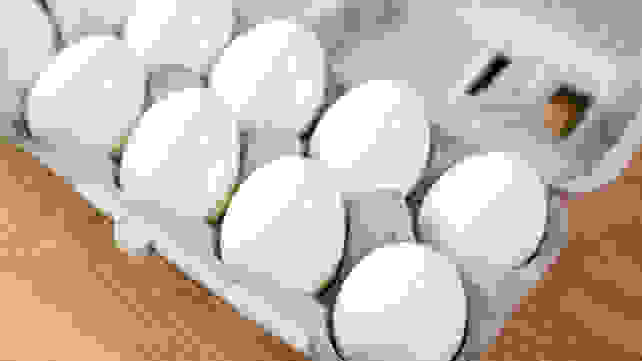 Eggs placed in cold water and gradually boiled don't peel well, hence their cratered surface. While the eggs cooked this way had slightly more tender whites and evenly-cooked yolks than their hot-start counterparts, they were impossible to peel cleanly. 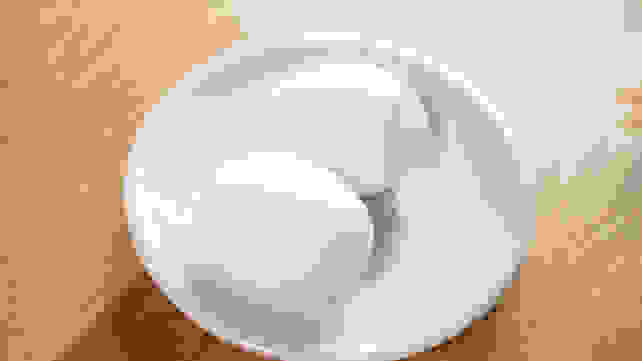 The thin membrane that surrounds the egg clung to the whites, rather than the shell, resulting in a cratered surface and a loss of precious, precious protein when peeled. Eggs that were dropped gently into already-boiling water, covered, and left for 11 minutes (the same amount of time we gave the cold-start eggs once the boiling began) fared considerably better when it came time for peeling. The membrane—shocked by the instant heat of boiling water—peeled away easily with the shell, leaving behind spotless, whole eggs. 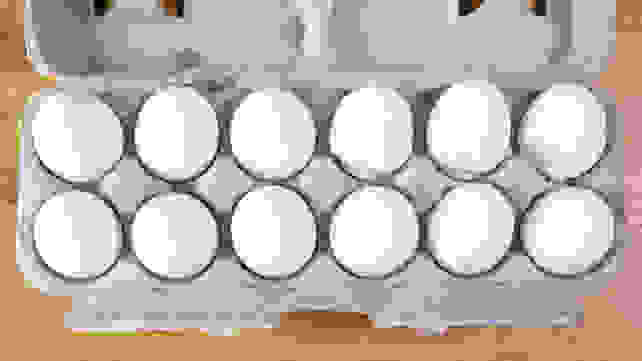 Left are hot-start boiled eggs, and right are cold-start boiled eggs. The difference is obvious. Following the results of this experiment, we cannot advocate for the cold-start method. But how does hot-start boiling alone compare to other tricks and strategies? Boiling might be a straightforward way of making sure something is cooked all the way through, but it’s harsh. Way harsh. 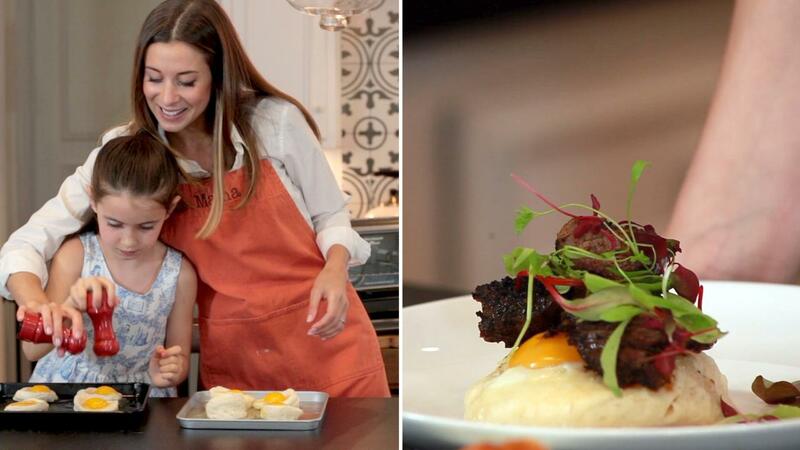 Steaming is a gentle, kind alternative to boiling that can cook your most finicky foods (like eggs!) without making them tough and weathered. The inside of a raw egg is delicate, not unlike your skin. For example, let’s say it’s been a long few weeks at work and you want to go for a nice, well-deserved spa day. Your skin and muscles are tired, so you opt for a massage and an exfoliating treatment. To preserve that fresh, delicate feeling you have all over your skin, would you rather relax in the sauna or hop straight into a scalding hot tub that will prune your fingers? Steaming eggs is a gentler method that ensures an easy-peel surface and a tender, evenly-cooked interior every time. In our final tests, we slightly undercooked the boiled eggs to prevent rubbery whites and gray rings. 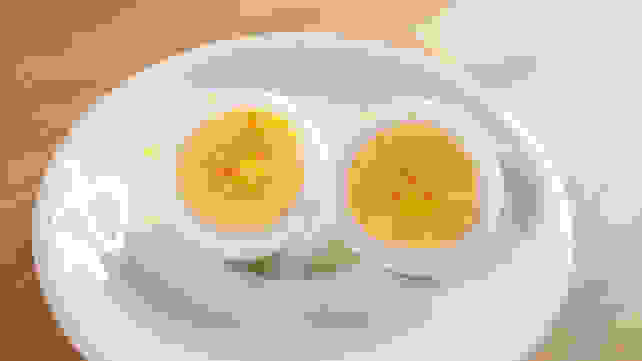 Some people prefer these undercooked yolks, which fall somewhere between soft- and hard-boiled, that result from 9-10 minutes of boiling. This egg was hard-boiled for 11 minutes, but the center of the yolk is not fully cooked. 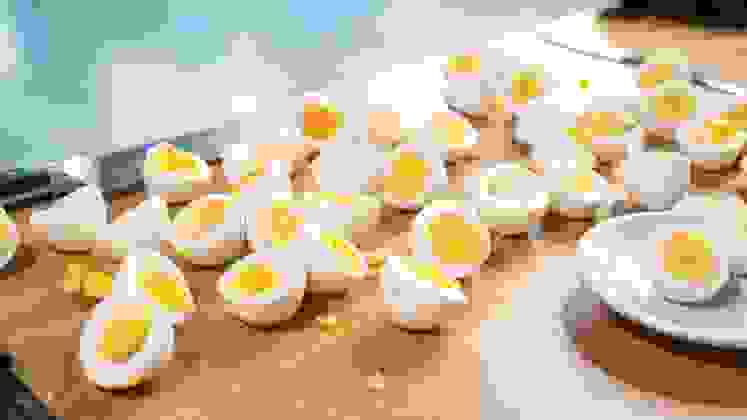 While these eggs are tasty in their own right, those of us seeking the perfect hard-boiled eggs will be ultimately disappointed by almost any amount of boiling, because eggs can go from having undercooked yolks to rubbery whites in the blink of an eye. The solution to your timing woes lies in steaming. This egg was steamed for 11 minutes, resulting in a fully-cooked yolk and whites. Like those that we prepared with hot-start boiling, the eggs we steamed peeled cleanly, but they also had more evenly-cooked, tender whites and yolks. For this reason, we recommend steaming your eggs in a steaming basket or pot attachment for 11-12 minutes rather than boiling them directly. You don’t have to freak out over timing your eggs perfectly, and you can still peel and eat with ease. It’s a win-win. 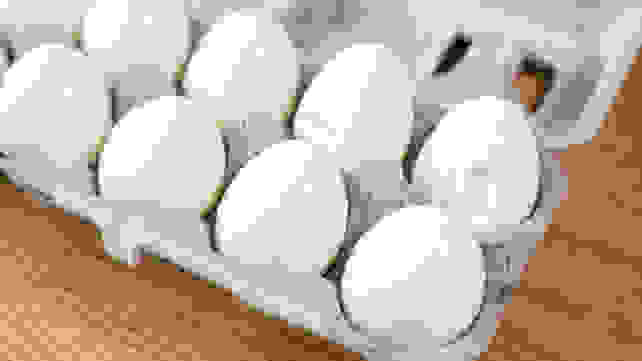 If you think that “shocking” your eggs makes them easier to peel, you’ve been misled! While placing your eggs immediately into ice-cold water after they’ve cooked is beneficial, the reason has nothing to do with peeling—rather, this process prevents the egg from shrinking slowly back away from the shell as it cools. Non-shocked eggs have divots or air-pockets on one of their ends, which means you don’t get full, rounded eggs to enjoy when you crack them open. "Shocking" eggs in cold water after cooking prevents them from shrinking away from the shell, which creates the divot pictured on the right. Just want to know our basic recommendation for “boiled” eggs? Fill a pot with just a couple inches of tap water. 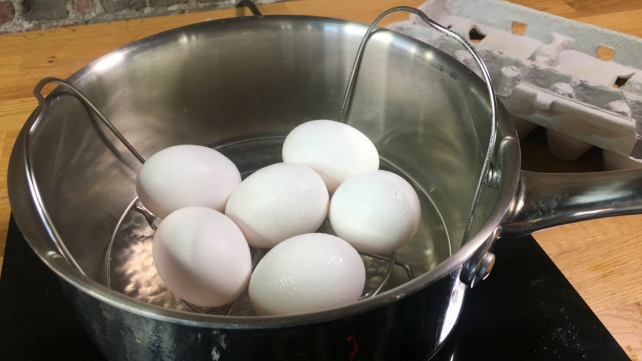 If you own a steaming insert that sits low in the pot, use just enough so that the eggs won’t touch the water. If you own a proper double-boiler or steamer basket, use a bit more so the water doesn’t all evaporate. Bring the water to a boil. Remove your eggs from the refrigerator as soon as you’re ready to steam. If they’re just-laid by a chicken that you or a neighbor own, it’s better to give them a few weeks before you cook them like this. If they’re from a grocery store, they’re already old enough that age shouldn’t be an issue. Slowly place one layer of eggs into the steamer. Cover, turn the temperature down slightly and let steam for 11 minutes. 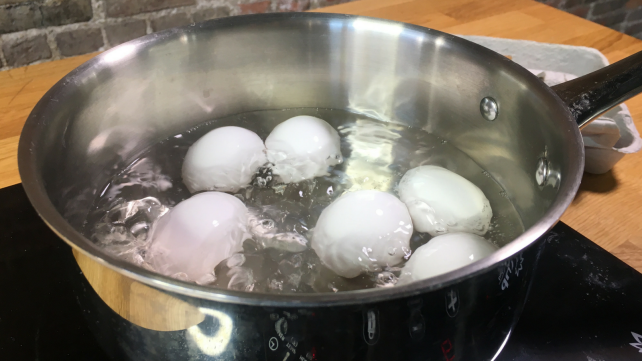 Using a large spoon, transfer the eggs into a bowl of ice water and let sit submerged until the eggs are completely cooled, about 20 minutes (or overnight in the fridge if you’re not in a rush). When you’re ready to peel, dry the eggs and crack them quickly on a tabletop, rolling them to crack all the way around. Peel gently from there, making sure to pull up the membrane with the shell. Congratulations! 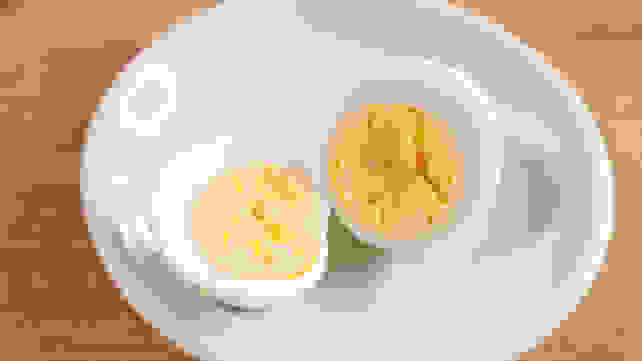 You should have some lovely, tasty steamed eggs for your next meal or party. With this technique, no pinprick in the shell will be necessary. Don’t ask me how to fry an egg, though—that’s a challenge for another day.